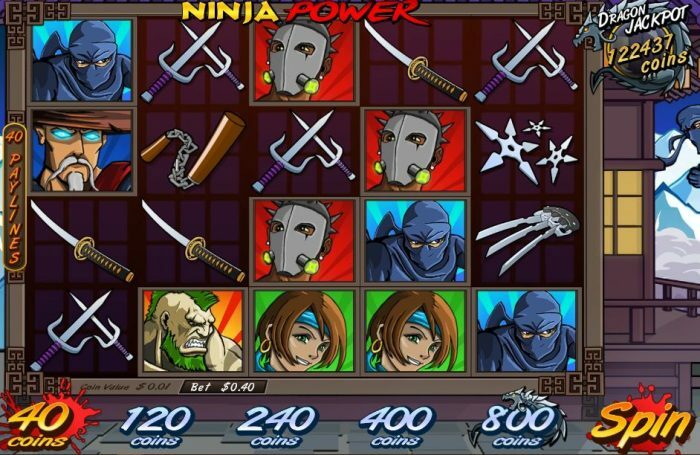 Ninja Power is the perfect game for unleashing some real money wins with your online warrior skills. 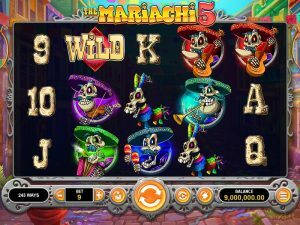 This action-packed slot has Free Spins, Sticky Wilds, and even its very own jackpot, so keep your wits about you to win big. All of Propietary games are 100% unique, and Ninja Power is no exception. Found at no other online casino, its dark and enticing graphics are one-of-a-kind. Play easily on your desktop, tablet, or phone with no download required. Ninja Power has 40 active paylines on the 5×4 reels, so plenty of opportunities to strike winning combinations. Symbols include shurikens, swords, and the ninjas themselves. Select between 40 and 800 coins (1 coin = $0.01) to bet per spin, then click SPIN to start playing. 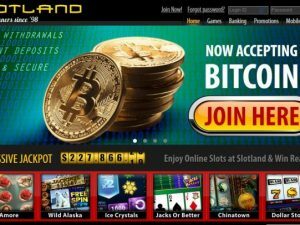 – The Dragon Wild symbol can substitute for any other symbol on a payline to boost your chances of a win. 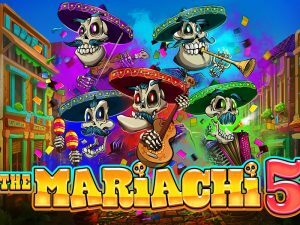 – When 3 or more Ninja Bonus scatter symbols appear on the reels, you will be awarded 10 Free Spins. During the bonus rounds the Ninja can appear to add in Sticky Wilds which will stay in the same spot during spins to increase your wins. – The Dragon Jackpot can be won by any Ninja Power player when they place a Max Bet (800 coins) and hit five Wilds on a payline.